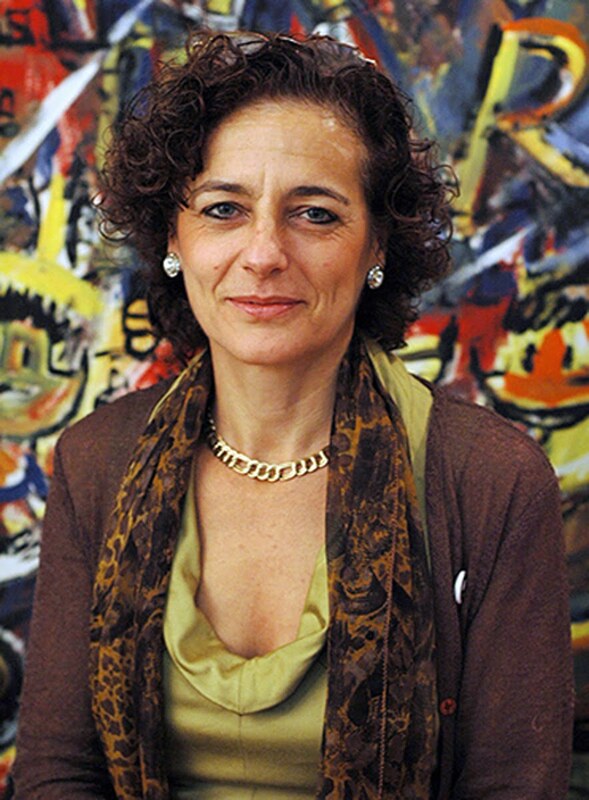 Françoise Mouly founded Raw Books & Graphics in 1977 and was the founder, publisher and designer of the pioneering avant-garde comics anthology RAW, which she co-edited along with her husband, cartoonist Art Spiegelman. In 2000, Françoise launched a RAW Junior division, publishing books of comics for kids by star writers, children's book artists, and cartoonists. 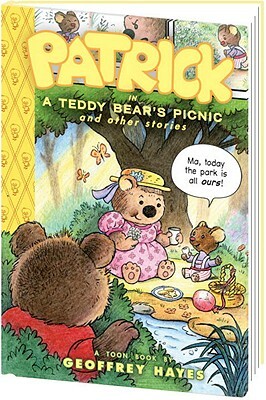 In the spring of 2008, Françoise launched TOON Books, her own imprint of hardcover comics for emerging readers, which have received universal praise and multiple awards for their innovative approach. What kind of young reader were you? Avid? Reluctant? How has that affected the kind of books you love and publish today? I was an avid reader, always lost in books and comics, but in France, where I grew up, children’s literature isn't stratified the way it is in the United States. All children—and adults—read comics. Tintin is in the same category of classic as The Little Prince. 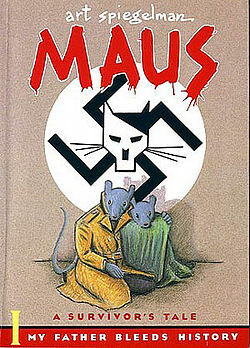 And then when I first came to New York as a young adult, I turned to comics to get better acquainted with English, and it's while searching for good comics to read that I met my husband, Art Spiegelman, the author of MAUS. So my love of reading has served me well, and now I publish the kind of books I would have liked to have first as a kid and later as a parent. What was the initial inspiration for TOON Books? Our daughter Nadja learned to read as soon as the teacher said so, but for her younger brother, Dash, it took much longer. If he had been limited to what was available as "easy readers," I'm sure he would surely have become a "reluctant reader" (instead of a lit major now in college). Kids are all on different timetables. I've heard Jeff Kinney (the author of the bestselling Diary of a Wimpy Kid) say that "reluctant reader" is just a code for "boy," and I can see how those labels get applied. The success we had with comics in our own family prompted me to want to publish good comics for kids. In 2000, I launched the Little Lit series, which was a collection of hardcover books of comics for young readers, authored by some of the best writers and artists, like Maurice Sendak, William Joyce, Paul Auster, David Sedaris, Lemony Snicket, and many more. What I also wanted to do was to publish comic book easy readers, to create that first point of entry that would let children fall in love with books and reading. So I launched TOON Books in 2008, now an imprint of Candlewick Press: our mission is to publish beautiful hardcover books that kids will grab and that parents, teachers and librarians can stand behind. We know that once we get them hooked, children will treasure the books forever. When I first proposed the TOON Books, all the publishers rejected the idea! Literally everyone. They all said it couldn't be done because it was outside of any existing category. In the U.S., the publishing of comics has historically been feast and famine. Comics were everywhere for kids growing up in the '50s; then they were burned in piles and denounced in Senate hearings in 1954. More recently, they've been making a comeback as graphic novels for adults (and young adults), but no publisher wanted to take a risk on quality kids' comics as a new category in publishing. They said, "Where will we shelve these?" So that was our first challenge, being unpublishable. But it turned out to be a blessing to be forced to publish on our own, because we're a minuscule group of committed people, doing everything ourselves. Being small, nimble, and relatively new at children's books, we can innovate (we wouldn't know any other way), finding solutions without having to get approval from any editorial or marketing or design departments. What were the challenges and triumphs? 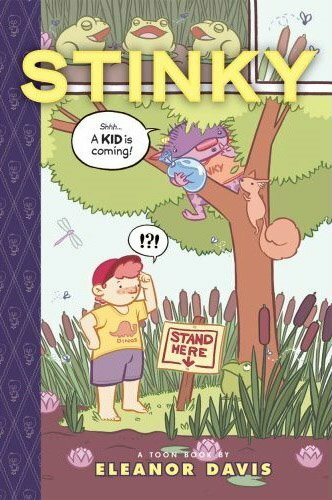 Our first major success was getting a Geisel Honor for Stinky by Eleanor Davis in 2009 from the American Library Association. I contacted Eleanor when she was still an undergraduate, and for her to receive such a major honor as a young woman cartoonist, for her first book, from a new independent publisher, was a thrill in so many ways. The following year, Benny and Penny in The Big No-No! by Geoffrey Hayes won the Geisel, and Little Mouse Gets Ready by Jeff Smith took home an honor. It was amazing that in a year of publishing three books, two of them were recognized in such a big way! What is the philosophy of the company? How is this reflected in the books you publish? We believe that comics are a legitimate form of children’s books. Children connect very strongly with visual cues, and comics are the perfect way to get emerging readers to fall in love with reading. In the world of children’s literature, publishers tend to focus on either books with high literary value that can win literary awards, or on books that are considered educational—seldom attempting to do both. But that's exactly what we try to do—and with comics as the form. What are some of your "big" books--in terms of popularity and/or critical acclaim? 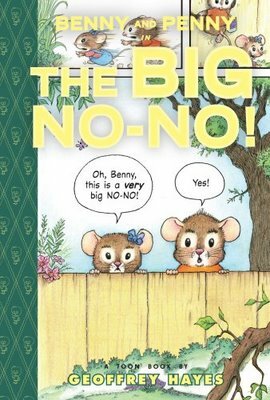 All the Benny and Penny books have been best sellers, and that was reinforced once Benny and Penny in The Big No-No won the Geisel Award. The Geisel honor books, Little Mouse by Jeff Smith and Stinky by Eleanor Davis have also done extremely well. 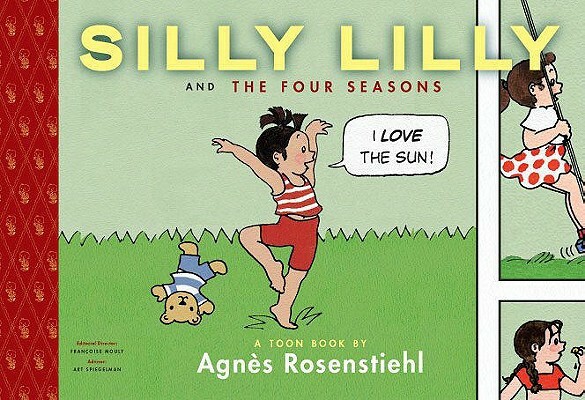 But then all our books seem to receive good feedback: our very first book, Silly Lilly in the Four Seasons, received a starred, signature review in Publishers Weekly by the eminent critic Leonard S. Marcus. How do you connect with authors and artists? Any submissions suggestions? Between The New Yorker, RAW (the comics and graphics magazine I published in the '80s), and Little Lit, I am in touch with most of the best artists and cartoonists around. For the TOON Books, I focus on the authors who have a story to tell and who can tell it using comics. I have loved publishing French authors and introducing them to American audiences, like Agnès Rosenstiehl (author of Silly Lilly), Philippe Coudray (author of Benjamin Bear in Fuzzy Thinking, forthcoming August 2011), and Claude Ponti (author of another forthcoming TOON Book). We have been able to work with both veterans, like Geoffrey Hayes, newcomers, like Eleanor Davis, and well-known cartoonists like Jeff Smith and Frank Cammuso. They are all authors who have a real knack for reaching this very particular age group, the 5-8 set. A lot of people think children’s books are "easy," but in fact it's much harder to create something both elegant and entertaining when there are such strict parameters: 32 to 40 pages, leveled vocabulary, plus having to pay attention to the visual flow of the panels on each page. I have to give credit where credit is due: All the authors we work with are troopers. They unreservedly put their talent at the service of the reader's limited fluency. The result is something akin to poetry, a book that has the beauty of a haiku. How do you work with teachers and librarians? Before we publish any of our books, we go through an extensive vetting process with various teachers like Cindy, our treasured first grade expert, and other our advisors. Cindy teaches first grade in the same school in Brooklyn where she went as a child, and where her daughter went. 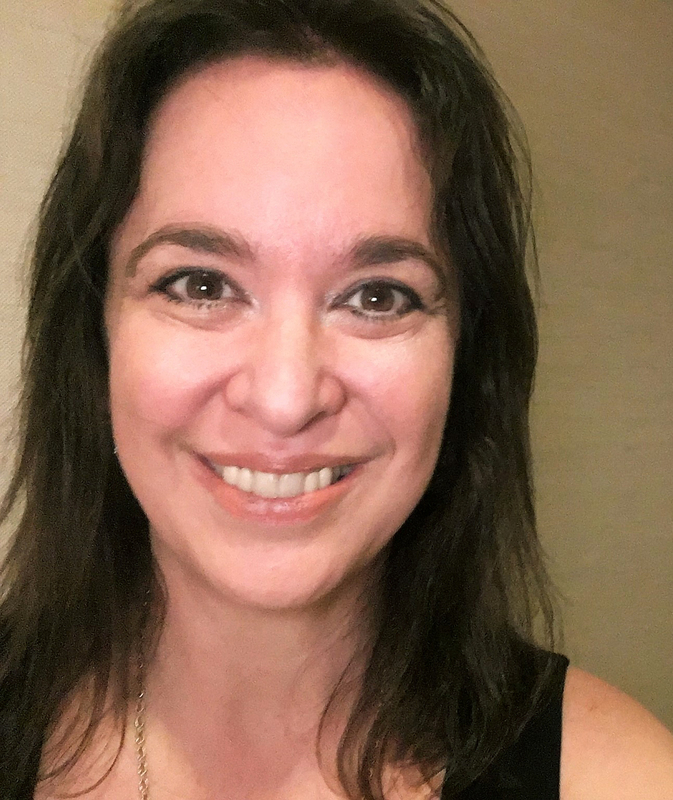 She knows exactly which words and consonant blends young readers struggle with, and she lets us know what in the vocabulary needs to be made more clear. Often, we'll work with the artist to get him or her use the visuals to illustrate the words. We also take the books into schools ourselves, and read with kindergarten, first, and second graders. We want to check how fluently they read the text, but we also want to watch them read in order to fine-tune the visual storytelling. We get our gratification from young readers' takes on our books. 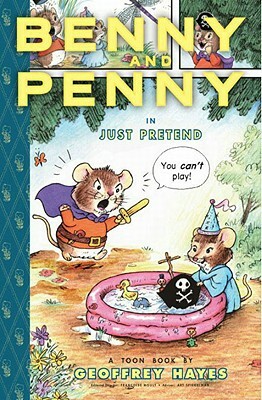 I'll never forget a reading session for Benny and Penny in Just Pretend by Geoffrey Hayes (one of the first three books we published). A five-year-old explained why he liked the book: "Benny learned what family is because his sister saved his life," he told me. Even though Penny had only been shooing away a dragonfly, the reader had obviously correctly 'read' the caring bond between the siblings. TOON Books recently became an imprint of Candlewick Press! What does that mean? We feel incredibly lucky to be an imprint of Candlewick. We share the same values: they publish beautifully produced books that are innovative in their storytelling and at the same time can have high educational value. We’re glad to have such wonderful partners: we rely on their marketing, sales and distribution savvy, and focus on preparing more great TOON Books. 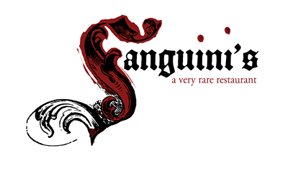 Would you like to highlight any of your 2011 new releases? What makes them special? 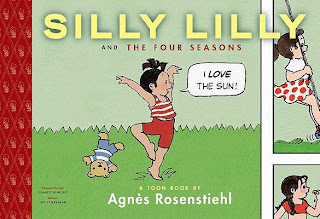 We have four 2011 titles: Silly Lilly in What Will I Be Today? by Agnès Rosenstiehl, which came out in February, Patrick in A Teddy Bear's Picnic and Other Stories by Geoffrey Hayes, out in April, and we will also be releasing two fall titles, Nina in That Makes Me Mad! by legendary artist Hilary Knight, based on a text by the prolific children's book author Steven Kroll, and Benjamin Bear in Fuzzy Thinking by French artist Philippe Coudray. What do you wish more grown-ups knew about comics for kids? There seems to be the idea that kids should "grow up" from reading picture books to reading chapter books with no pictures, and that misconception can foster a prejudice against picture books and comics. Parents and educators should not be afraid of kids’ love for comics, and kids should not have to grow out of loving pictures— images can provide so much information, and for many kids, comics can be an essential step ladder into other texts. I spent my young adulthood publishing RAW magazine with the agenda of, "Comics aren't just for kids anymore!" and now I've devoted my life to saying, "Comics aren't just for adults anymore!" I wish more grown-ups would realize that reading is reading, whether it's a comic or a novel. Adults would be well advised to take a lesson from the children around them and learn to embrace visual communication. It's a rich language we can all benefit from. 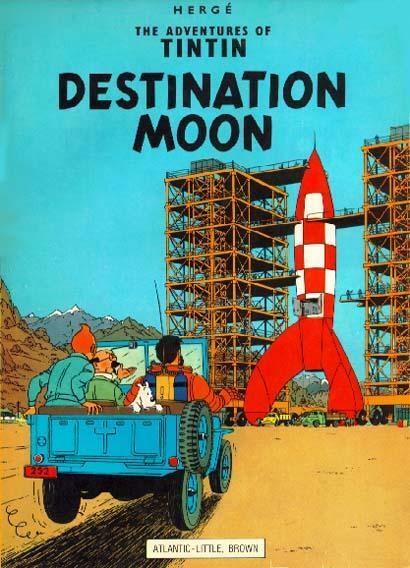 Booklist Webinar - Francoise Mouly from TOON Books on Vimeo.